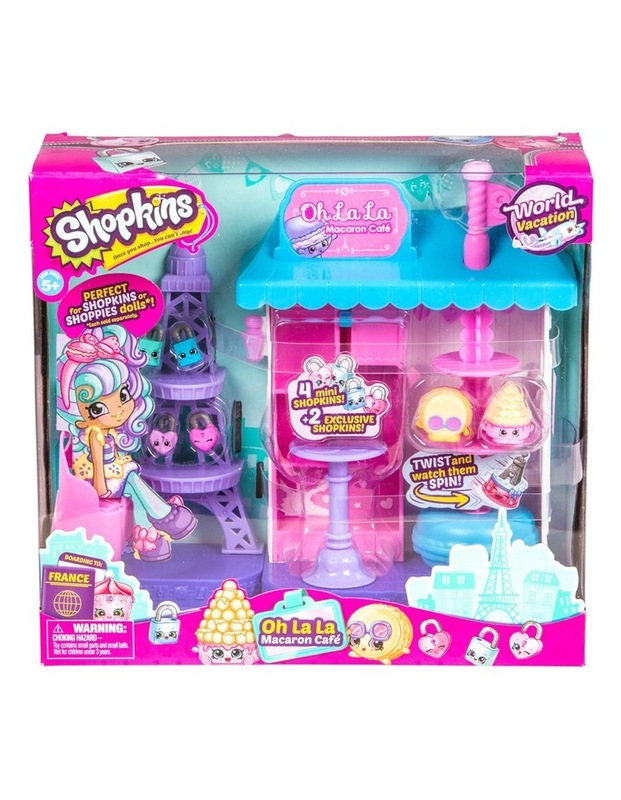 Bonjour Shopkins fans, Here we are in beautiful Paris - The city of Love! Come take a seat on the street and share some fun with some treats in front of the Macaron Cafe! Pour a Hot Chocolate or take a spin on the cake stand. The cutest, most-collectible characters from your favorite shops! There are adorable fruits, sweets, dairy and more! Grab your shopping cart, and start - because once you shop, you can't stop!